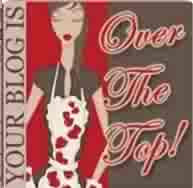 Hi there bloggettes from deepest Shropshire! Well it might not be the deepest but it certainly feels it when your car touches the hedges on both sides of the road! And there's some 'interesting' bends too! So I thought I'd how you my effort for this weeks challenge over at Totally Gorjuss. This week we needs circles on your card. So it can be on the paper, die cuts, round card..... anything circular will do! 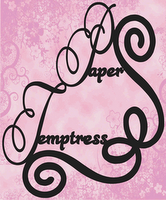 I immediately thought of this little beauty from Sweet Pea Stamps. As a bonus she has a circle behind her, then there was the round nestability I used to cut her out, there's circles on the papers so I'm ahead shed loads! Naturally she's been coloured with my trusty Copics. Papers are some I've had forever from K and Co er Addison I think they're called. Oh and here's my arty shot! Pop over to Totally Gorjuss and see the lovely cards the DT girls have made. There's loads of ways you can get a circle on your work! What a beautiful card,i love your image and the colours. A gorgeous card Net...I've got one just like that :)...thanks again for the beautiful card...it looks even better IRL....I have put it in my Keepsake box. PS: How was the retreat..have you got any piccies to share?